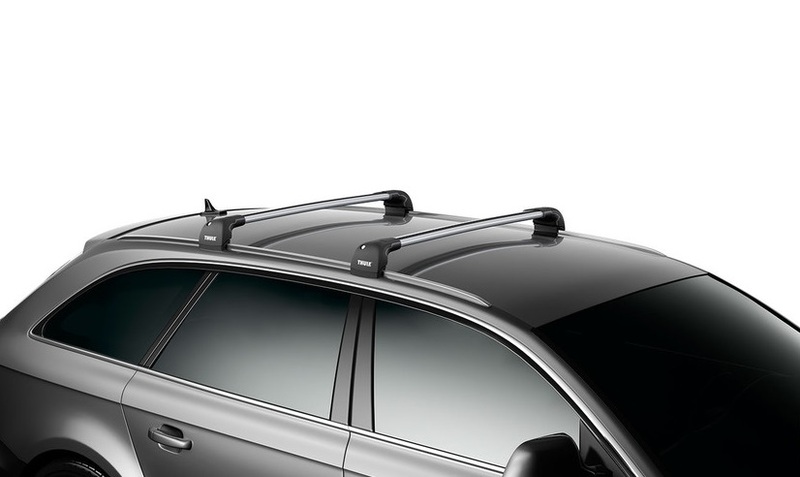 A low-profile roof rack system for vehicles with flush rails or fixpoints. Lightweight aluminium bars with t-track slot for easy mounting of accessories. Aerodynamic design for minimal noise whilst travelling. 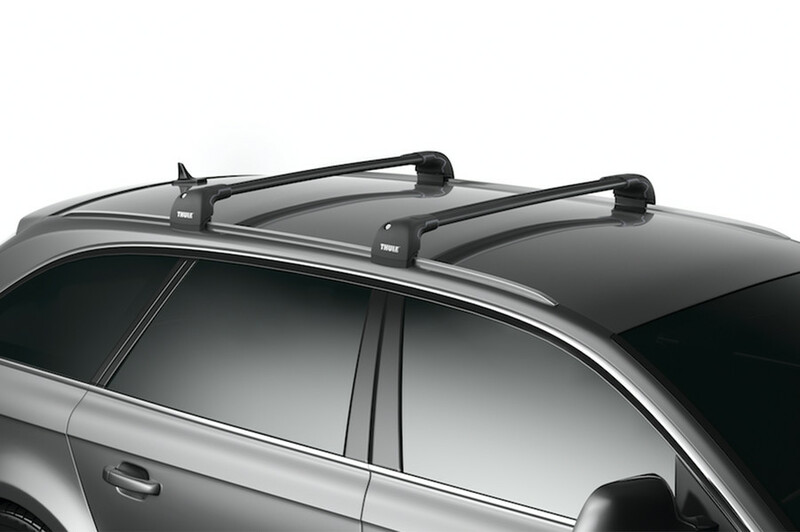 The Thule WingBar Edge for Flush Railings and Fixpoints are designed specifically for vehicles with fitted flush roof railings or designated roof rack attachment points (fixpoints). The smoothly arched bars offer a close-fit to the roofline for a low-profiled roof bar system. The bars feature a pre-assembled built-in foot pack for quick and easy installation.  The footpack will require a fitting kit that will be specific to your vehicle. There are various sizes to suit vehicles with flush rails or fixpoints - please use our THULE Roof Rack Selector to find the correct Thule WingBar Edge for Flush Rails & Fixpoints and fitting kit required for your vehicle. The WingBars have a T-track slot along the top side of the bar, allowing for quick and easy accessory attachment, such as bike carriers and kayak carriers. The T-Track is in-filled with a rubber grip strip to help grip the load and prevent sliding on the bars when a load is secured down. WingBars feature wind diffuser technology and a Trail Edge design based on an aeroplanes wings, for an aerodynamic and quieter ride. With less resistance to the air, the WingBar offers better fuel economy than standard box/square profile bars. Pre-assembled bar and foot system installs quickly - requires a vehicle-specific fitting kit. Please use our THULE Roof Rack Selector to find the correct fitting kit for your vehicle. City Crash approved for 100 kg according to ISO Norm. 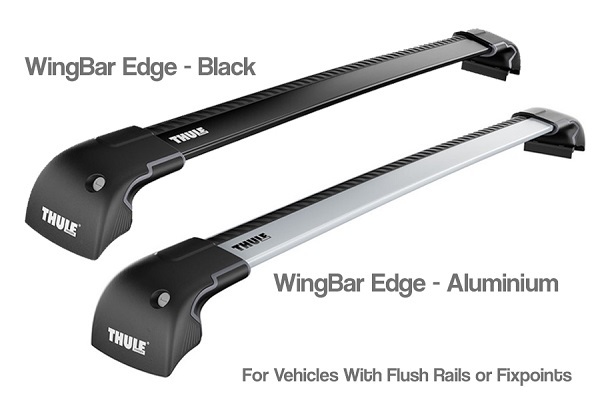 * IMPORTANT NOTE - Video may not show the current model for the Thule WingBar Edge for Flush Rails & Fixpoints. We offer a delivery service for the Thule WingBar Edge for Flush Rails & Fixpoints throughout the UK & Ireland to home and work addresses. 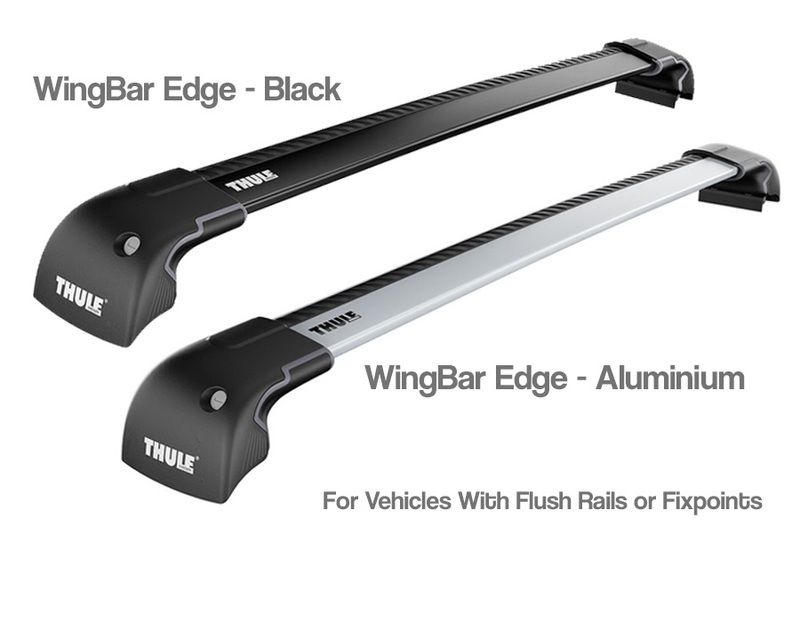 Buy a Thule WingBar Edge for Flush Rails & Fixpoints online from our website and collect from one of our nationwide branches.